- More than 20 years after Somaliland set up a democratic breakaway from troubled Somalia, Somcable is connecting it to Africa’s new submarine cables using microwave downlink and LTE uplink. CEO Michael Cothill talks to Alan Burkitt-Gray. Michael Cothill is building a telecoms network in a country that you won’t find on many maps. Somaliland sounds familiar, but it is formed of part of the northern territory of Somalia, from which it declared independence in 1991. Cothill is CEO of Somcable, backed by a local business group, which is using a mixture of microwave transmission and LTE to deliver broadband to companies and residential subscribers across the emergent nation. “We were awarded the exclusive licence for a fibre optic cable system for Somaliland, the democratically run portion of the region,” says Cothill — who is working on plans for the owner of the company to expand into neighbouring parts of the Horn of Africa. The company’s Somaliland network is connected into the world’s telecoms systems via the new submarine cables that land at the bordering country of Djibouti on their way along the Red Sea from northern Egypt and the Mediterranean beyond. The very fact of the new cables means that Somaliland potentially has better voice and data access now than most of sub-Saharan Africa did a few years ago, before the new cables were installed. “There are five fibre optic cables coming into Djibouti, virtually at our front door,” says Cothill. Meanwhile the US Central Intelligence Agency’s online world factbook puts “Somaliland” in inverted commas. Since June 2012 there has been a glimmer of hope that there will be peace between Somalia and a number of breakaway regions, including Somaliland. Talks in London, Istanbul and Dubai have opened the way to cooperation between the warring factions. 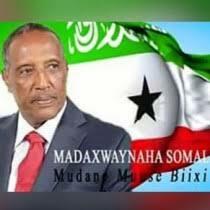 “Somaliland has most of the economic value of greater Somalia,” says Cothill, who joined Somcable in January 2012. It is working with three cellular operators in the region, “mainly GSM services, and a little HSDPA, and a limited number of services offering wifi”, to provide backhaul to Djibouti and to a back-up hub in Berbera, Somaliland’s own port on the Red Sea. “The company is essentially the incumbent backhaul provider,” he says, “but with three operators you can’t just survive on backhaul.” Hence the company has diversified to sign up its own customers so it can offer them direct access. The first customers will be connected in January 2013. What other countries is Independent Holdings looking at? Cothill hints at Ethiopia, southern Somalia and South Sudan — which broke away from its northern neighbour in July 2011 — as well as Kenya and Uganda. All of these can be connected to the world’s telecoms networks through Djibouti, he points out. Within Somaliland, Somcable — based in the capital, Hargeisa — has built a fibre optic network. But the fibre isn’t intended to reach the end customers. What Somcable is doing — with the assistance of equipment provider Bluwan — is building a wideband microwave network, operating at 12 gigahertz, as a “last-mile wireless” network to deliver data signals to customers around each base station. Each base station is divided into four sectors of 90 degrees each, and each sector transmits at up to 2.5 gigabits a second — making 10 gigabits for the whole tower. Signals reach up to five kilometres in the rain, says Bluwan’s chief commercial officer, Shayan Sanyal. Somcable is using “different types of LTE” for the return path, operating at 700 megahertz with 20 megahertz of spectrum. Each customer can download at up to 100 megabits a second, and uplink speed is 5-6 megabits, with a maximum of 160 megabits a second per sector. The systems integrator of the technology is a Nasdaq-listed US company called Globecomm Systems, based just outside New York City at Hauppauge on Long Island, says Cothill. Customers include US and other government agencies. It built a new telecoms network for Afghanistan in a World Bank-backed project. Globecomm announced its contract with Somcable in September 2012, when it valued the contract at $2.7 million to install “new broadband wireless system technology” in order “to deliver voice, internet, TV and video communication services to [Somcable] subscribers with the goal of developing a framework of a carrier class communications service provider”. It will install only the radio equipment in Somaliland, says Cothill, using microwave kit from Bluewan with LTE from both Ericsson and ZTE. The core network will be hosted in Hauppage, which means traffic will travel from north-east Africa to be routed and switched in the US. “That gives us economies of scale,” he adds. The new submarine cables have come to Africa — and more are expected. Now there are serious moves to increase the bandwidth connecting to the rest of the world to 25 terabits by 2015. The next vital step — the inland links from the landing stations to real users — has started.